Welcome to an Exciting New Method for Independence in Your Own Home! 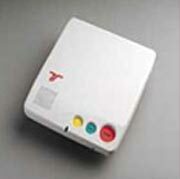 ACE Care Personal Emergency Reponse System. Given the choice, most seniors and individuals with medical conditions or physical challenges would prefer to live in their own home and be as independent as possible. That's not always possible, but for many, this dream can become a reality with the addition of one easy-to-use communication device. ACE Care Personal Emergency Reponse System connects to your home telephone line and automatically places a call for help whenever you need assistance. Family, neighbors, and medical personnel that you have designated are notified immediately, so they may respond quickly. This system has proven reliable enough to meet very tough standards. It is listed by the Underwriters Laboratories as a home healthcare signaling device. The heart of the system is the ACE Care console itself, which is designed for tabletop use and ideal for bedside placement. It features a centrally located Emergency button for manual activation. A Clear button cancels alarms or resets the system following an alarm. During an alarm, the console sounds a distinct tone to identify the type of alarm. During a power outage, continuous protection is provided by a long-life back-up battery. The console is equipped with hands free two way voice communications. In an emergency situation, the console contacts a certified EMT at the Emergency Monitoring Center. You can talk with the Emergency Monitoring Center operator directly via the ACE Care console. No long term contract required. Onetime connection/setup fee of $99.95 due at installation. Key lock box and telephone line seizure device also available.